It flows from the top. Rogue winds carry the stench of decay. Trolls climbed on willing shoulders to the once hallowed house on the hill. Now shoulders bow under the weight of our missteps. Some minds blown and others twisted. Handcuff the free press. Release the free radicals. Banish charity. Dishonor agreements. Taunt, flaunt, violate. Ceaseless cycles of venomous discharge desecrate, devastate ravage and rage against the fabric of our country. That fabric that was flammable, flawed and fragile is being shredded and replaced with funereal shrouds. Layla my dog and I head down the fire road toward the farm. What’s that smell in the air? Chemical? Decay? The death of the E.P.A.? Here at the Agricultural Center a group of four unlikely like-minded women from different worlds walk, talk and run their best buddy dogs. An unpleasant smell dismays me on this otherwise fine first crisp and dewy day of autumn as Layla and I round the lower field waiting for the others to show. Bouncing between sleepless nights and stressful days, for the second time I’ve got symptoms of flu that disappear after a final collapse into a night of exhausted surrendered sleep. It’s a virus that’s going around. Like wild fires, floods and opiates. Warning bells toll in the ether. The force shields are down. We are subject to invasion. 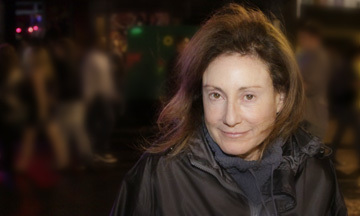 Glenanne arrives with her dog Lucy. Christine is behind her with Chelsea. They want to walk the fire road I just came from. “There’s a weird really strong smell down there”, I tell them. I don’t want to go back. Glenanne tells us the little red brick building down there is a crematorium for road kill. It’s not public knowledge. Carnage quietly turns to ashes under the ancient oaks amid serene white domed wooden barns and meeting halls. Moms gather to exercise, babies on backs and in strollers. Visitors amble among slave quarters and along paths beside the idyllic horse pasture that houses the police force’s tremendous and gentle beasts. The surface is serene but listen to us as the dogs play and witness the rumbling underground. We are all downwind from the crematorium. The stink comes from the rotting head of a once youthful body that declared itself open minded, open hearted and democratic. It is clearly corrupted. It stinks. On the other hand, under the oaks a group of friends share the rhythm of a turning season. There is a hint of new in the air. Change is always there and change cleanses the past. History is absolute but our impressions and focus shift. Rumbling leads to action. Action leads to change. Here downwind from the crematorium, I smell decay but above me a lone hawk soars like a Phoenix. Autumnal equinox turned the southern corner; spilled light through my front windows in a way not like yesterday. We are anointed by voluminous blue radiance come to illuminate an internal life of winter. A home that holds light is good fortune in a season of change as change is a leap into darkness. He had set it to music and asked me to dance. 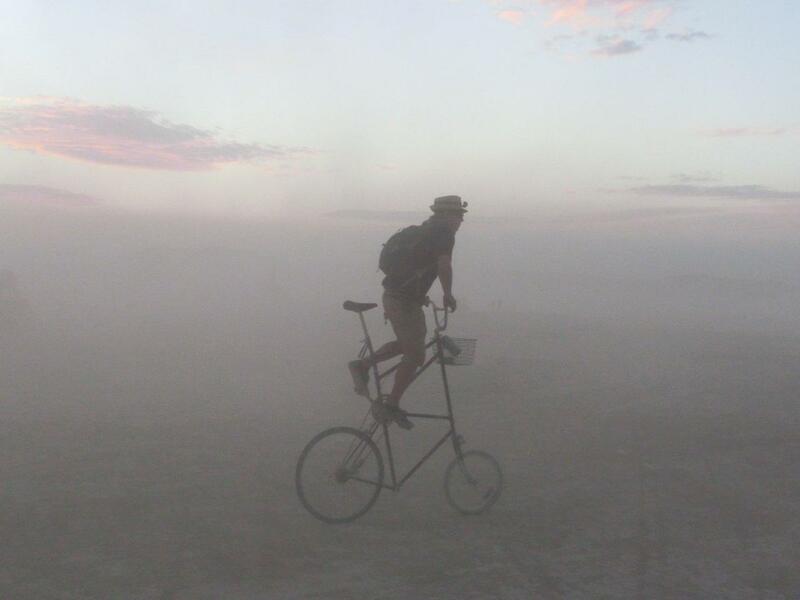 And a mirage moved through the hot dust of the Nevada desert at Burning Man as I remembered a photo of my son. It became the backdrop for the song. I couldn’t say why except for the timing of events. Catharsis, revolution, turning of tides, defying the status quo, beginnings and endings, grief and redemption can’t be ignored. Blame the super moon; the radical shift of planets and tides. Blame big events and small incidents. Blame a storm of happenstance for the hand up out of the muck. Wake up. Wake up. There are more procrastinations than tomorrows can hold. It’s time to move on. Things happening in familiar circles and those circumnavigating the globe are boiling. Can you feel it? In this moment of upheaval and assimilation I, ruled by Virgo who is both my sun and rising sign and governor of the intestines, thrive as separating wheat from the chaff is my forte. The beginning of a new year marked by the Hebrew calendar is a good occasion to scrutinize the tribes that declare us their own~ culture~ nation~ family~ friends~ community: We take stock of our people and ourselves. Our people because they’re a reflection but also the company we keep. And they could be holding us down as comfort often trumps and turns in to conviction whose binding eventually reveals all. The company blows apart. What if we’ve come from stardust as conjecture has it? Is so bound it cannot move. We blow apart from the others like supernovas. Scientists found that neurons that do not make contact with other neurons in the human body shrivel and die. Does closeness also foster destructive tendencies? When toxicity breeds from stagnation and stagnation comes in many forms, anger involutes to depression or to volatility for one. Oh it’s easy to come together from disparity. To rally against a foe is the easy work. How to come together and stay together in closeness? We struggle toward unconditional love and fail and try again. Relationship is a puzzle that frustrates all but whose heart is frozen. Get to the bottom of the frozen heart and find abandonment. That is my over reach for today. When and how were you abandoned in big but mostly small ways; ways that excused you from humanity’s mores? Someone did not want you, could not hold you as you were, could not hear you, could not suffer the burden of being loving or even responsible in a selfless way. You don’t remember every detail or you do but your actions say there is memory. We are wired to remember the cautionary tales. How ironic that this means of survival stands in the way of our evolution. We are guilty of tiny mistakes natural to new beings navigating unknown waters. Little piles of pebbles become the boulder blocking our door. What of yoga and/or faith can help us here? In the way we are taught that becoming our best means excavating our worst. The Jewish holiday that marks the beginning of the year is called the Day of Atonement. And the magnificence of the universe within me is surprisingly magnified by contact with others doing the same work. In my favorite outfit, sweatshirt and bare feet, the cool breeze on naked legs and hot sun in my hair, I welcome the change which comes whether I choose it or not. We are walking through our own fire. are stronger than the tides. as we awake from troubled dreams. The fool stumbles, the heart redeems. Ecstasy has opened me, though I still break my vow. We will think that way no more. We belong here, we belong here. We are blazing at the core.